Knoxville, Iowa - The IMCA Deery Brothers Late Model Series invaded the legendary Knoxville Raceway on September 19, 1994 for what would be the first of four annual September visits to the famed half-mile. The first of these was held on September 10, 1994 with the running of the “Western Auto Shootout.” A large field of cars showed up for the event requiring five heats to be ran. Heat race winners were; Todd Cooney, Don Hoffman, Darrell DeFrance, Gary Webb and Kurt Stewart. The B features went to Craig Jacobs and Steve Hennies. 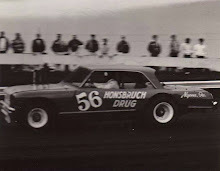 The 26-car, 40-lap feature found Todd Cooney jumping to the head of the pack and leading for six laps before being passed on lap seven by Joe Kosiski. Kosiski would hold the lead for a dozen laps but Gary Webb was closing and after passing Cooney for second, he ran down Kosiski and dove under Kosiski for the lead coming off turn four after a restart. At the halfway mark Steve Kosiski moved by Joe and into the runner-up spot. Steve Kosiski then started running down Webb despite being slowed at times because of lap traffic. The front runners set a torrid pace, but as the two (Webb and Steve Kosiski) exited turn four to take the white flag, Webb running the low groove started fishtailing and lost some momentum. That was all Kosiski needed as he drove to the high side and went on to take the checkers and a check for $1,500. 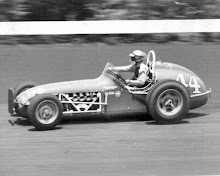 Webb would finish second, Joe Kosiski third, Hennies fourth and Kevin Cale fifth. The Deery Brothers returned to Knoxville on September 9, 1995 for the “Housby Trucks Classic.” Again, five heats were contested with wins going to; Boone McLaughlin, Darin Burco, Terry Ryan, Jeff French and Doug Hopkins. The B feature wins went to Todd Cooney and Steve Kosiski. The feature would turn out to be a battle of cars that had started deep in the field having qualified through the B features. Gary Webb had taken the lead but 16th starting Steve Kosiski had patiently worked his way up through the field and after a caution flag on lap 18, Kosiski was in second and mounting a charge on Webb. The two hot shoes battled side by side for several laps before Kosiski took the lead on lap 26. Webb hung right with Kosiski battling to get the top spot back until he was passed on lap 33 by Jeff Aikey, who had also come out of the B, having finished second to Kosiski in the second B. Aikey then set his sights on Kosiski and the two fought it out for several laps before Aikey took the point on lap 37. 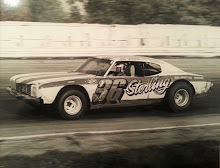 Aikey would hold on to win by 20 yards over Rick Wendling, who like Aikey and Kosiski had came out of the B. Steve Kosiski, Gary Webb and Todd Cooney rounded out the top five. On September 7, 1996, 43 cars would sign in for the Deery Brothers event at Knoxville. 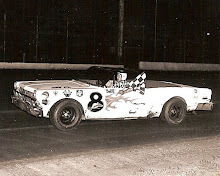 The program would be delayed several times by rain showers and would run quite late but in the end, there was no doubt that Jeff Aikey would become a back-to-back winner at the famed half mile. The defending race champion got the lead early and despite a number of cautions was never seriously challenged, although Gary Webb tried his best through the first half of the 40-lap event. At the half way mark, Webb would roll to a stop on the backstretch with a flat tire. Brian Birkhofer assumed the runner-up spot but was never able to mount a serious challenge to the fleeting Aikey. With just three laps to go, the yellow waved again, but Aikey was not to be denied and he went on to win at Knoxville for the second year in a row. Birkhofer would finish second, Tommy Elston, Terry Schlipman and Craig Jacobs would round out the top five. On September 6, 1997 the series returned to Knoxville for their last visit until 2009. Finally, it was veteran Gary Webb’s turn to visit victory lane. Veteran Ron Jackson would grab the lead at the start of the event and lead and led for several laps before Kevin Pittman used the low groove in turn 3 and 4 to take the point. On lap 14 Deery Brothers series point leader Harry Walker spun exiting turn four and brought out the caution. Two laps latter and Webb would takeover the second spot from Jackson. At lap 21 the yellow waved again. On the restart Webb went to the high side and made the pass of Pittman for the lead. After battling side by side for a few laps, Webb began to pull away and at the checkers held an eight-car length advantage over Pittman. Sonny Smyser, Tom Hearst and Dean Wagner rounded out the top five. Heats went to Ron Gustaf, Darrell DeFrance, Tom Hearst and Boon McLaughlin. The B’s were won by Doug Hopkins and Greg Kastli. It would be nearly 12 years before the Deery Brothers returned to Knoxville on July 8, 2009 for what has become an annual visit. 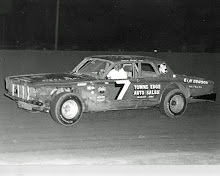 In 2009 it was Tommy Elston picking up the win, 2010 would see Ray Guss, Jr. take the checkers and in 2011 it was Nate Beuesling winning the event.